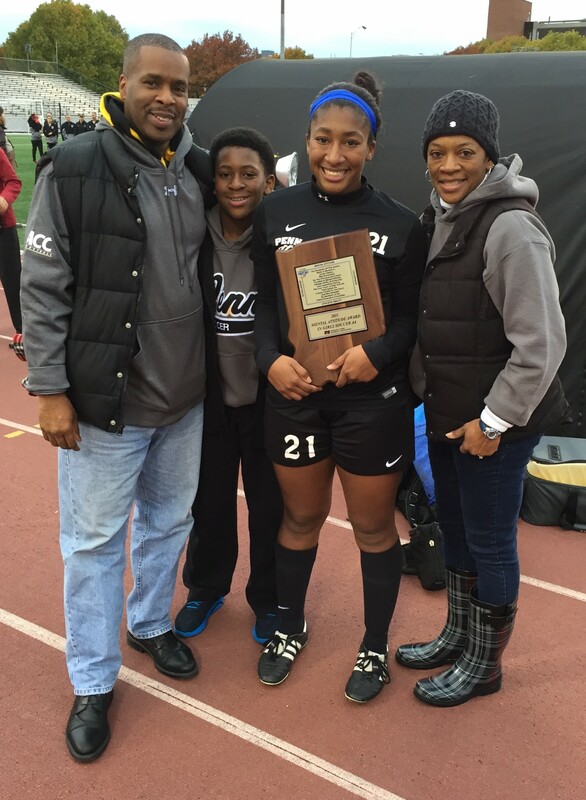 Solomon, a senior, is the 21st Penn High School student-athlete to win the IHSAA Mental Attitude Award. Penn girls soccer coach Jeff Hart said that Solomon has been a difference-maker for the Kingsmen, who finished state runner-up this season. “We have a lot of special seniors, but obviously, Kamra stands out,” Hart said. “She stepped on our practice field as a freshman and was a starter from Day 1. Then, we named her a captain her sophomore year. For the first-time in school history, we had a three-year captain,” Hart recounted. Solomon is the daughter of Anthony and Tracy Solomon. Anthony Solomon is an assistant basketball coach on the University of Notre Dame men’s basketball staff. Tracy Solomon is a former track star at the University of Virginia.